Integrating a focus on gender with Marx’s surplus-based notion of class, this book offers a one-of-a-kind analysis of family farms in the United States. The analysis shows how gender and class struggles developed during important moments in the history of these family farms shaped the trajectory of U.S. agricultural development. It also generates surprising insights about the family farm we thought we knew, as well as the food and agricultural system today. 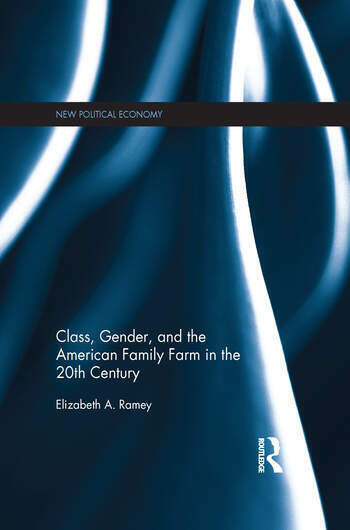 Elizabeth A. Ramey theorizes the family farm as a complex hybrid of mostly feudal and ancient class structures. This class-based definition of the family farm yields unique insights into three broad aspects of U.S. agricultural history. First, the analysis highlights the crucial, yet under-recognized role of farm women and children’s unpaid labor in subsidizing the family farm. Second, it allows for a new, class-based perspective on the roots of the twentieth century "miracle of productivity" in U.S. agriculture, and finally, the book demonstrates how the unique set of contradictions and circumstances facing family farmers during the early twentieth century, including class exploitation, was connected to concern for their ability to serve the needs of U.S. industrial capitalist development. The argument presented here highlights the significant costs associated with the intensification of exploitation in the transition to industrial agriculture in the U.S. When viewed through the lens of class, the hallowed family farm becomes an example of one of the most exploitative institutions in the U.S. economy. This book is suitable for students who study economic history, agricultural studies, and labor economics. Elizabeth Ramey is Assistant Professor of Economics, Hobart and William Smith Colleges, USA.